From time to time, I will occasionally get inquiries asking about day-of coordination services for a couple's wedding. Some brides are disappointed or confused as to why my least extensive wedding package is for Month-of Coordination. I absolutely understand the concerns of a limited wedding budget, that some brides are fully capable of throwing a fabulous party with panache and just want somebody to be there to make sure no major crises occur, and also that it can sometimes be a little tricky to articulate exactly why having a third party involved for a few weeks pre-wedding is SO important. This mom-helping-her-daughter-into-her-dress moment wouldn't have happened if Mrs. Bartley was trying to set up centerpieces! Glessner Photography. I cannot stress enough how VITAL it is for you to focus on your marriage as you're getting married. While YES, it is the most important party you'll throw... it's also the ONLY wedding you'll have (God willing and you take the covenant seriously). You need to be the bride. Your mom needs to be the mother of the bride. Your groom needs to be the groom. Your maid of honor needs to be your right-hand lady. (And NOT the slave labor.) Why would you trade a role you will ONLY get to play ONCE IN YOUR LIFE for a role you can play every single party you throw, from here on out? This is not a matter of your capacity to do something. If you are really that stubborn about doing everything all by your lonesome, you can probably do it... but you're going to be miserable. You're going to be stressed. You're not going to have fun. You're not going to be focused solely on your impending marriage. Why go through that?? Back to delegation. Let me just tell you from personal experience that from six weeks leading up to your wedding, time will elude you like nobody's business. Those days are going to fly by so fast until you're in the single-digits on your countdown and pulling your hair out. I seriously have not met a single bride who has ever told me otherwise. You are juggling not only the final details surrounding your wedding, you're making travel plans and buying camera cards and packing suitcases, you're attending your own showers and bachelorette parties and wedding-related festivities, you're writing eighty thousand thank-you cards, you're mediating family relations as people start trickling in from out-of-town, you're loving your future husband and keeping him calm as he does the same (as well as getting extremely excited and impatient to JUST GET MARRIED ALREADY)... you have a LOT on your plate. A lot. I guarantee that if you try to do it all on your own in those weeks leading up to the big day, something will get lost in translation. Maybe that means you won't rent the trashcans that your venue doesn't provide but your caterer needs in order to bus tables. Maybe that means that some DIY project you slaved over for two months gets shoved in the back and forgotten. Maybe that means that the wrong song is played during your ceremony. It doesn't matter how detail-oriented or awesome of a party planner as you are -- you are human, and you will forget something. Something will not be communicated to an important party. Someone will show up at the wrong time. Something will be placed somewhere you didn't want it to. Even if you hire a day-of coordinator, how is she (how am I?) supposed to know you well enough to make big decisions on your behalf? How is she supposed to know your priorities and how they rank up to you? If (and when) something you've thought up isn't actually feasible the way you planned for, how is she supposed to problem-solve in a way that will satisfy you? How are you, someone who hasn't planned your own wedding before, supposed to know how to do everything leading up to the big day? Would you hire a contractor to just start building a house for you on the day you want it built? You can hand him some blueprints and a list of things you need taken care of, but is that really sufficient for something as important to you as your home? Yes, you may live in that home forever and your wedding is just one party on one day -- but you're making a lifelong commitment. 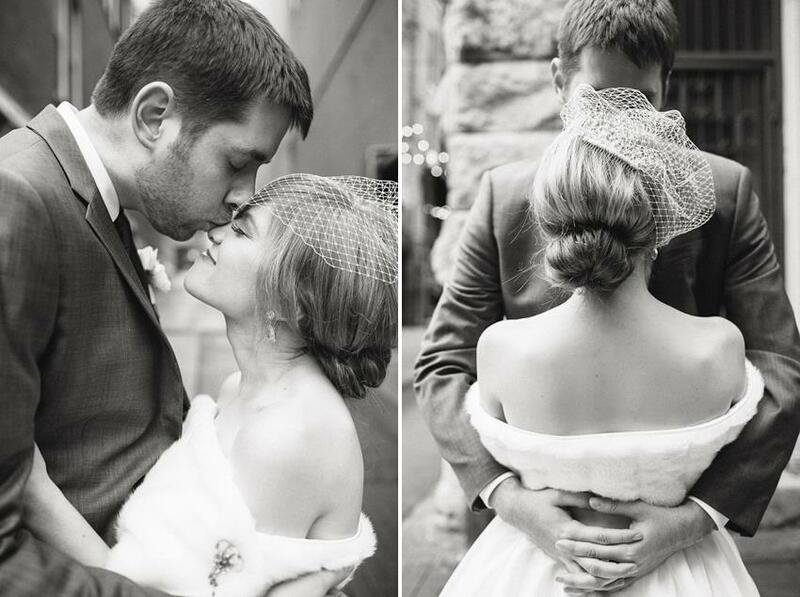 You will look back on your wedding photos and remember how you felt that day. Were you happy? Stressed? Frazzled? Why taint your own memories of how you started your marriage with regret and discontent? It is a huge relief to hand over some of the responsibility to a professional wedding planner the month before you get hitched. To have someone act as your liaison, to review your contracts and make sure that the vendors you've hired deliver on what they've promised you. To have someone to answer questions about things you do not know. To calm your mother-in-law's nerves when she thinks you've inadequately planned everything (She's just nervous. Forgive her early on). To have someone devise a schedule based on how actual events ACTUALLY go (not just some vague idea of "well, maybe it'd be good if we did this then...") and write up a well-composed and organized detail sheet that EVERYONE involved with the wedding gets, so there are no substantial questions left unanswered. To communicate your desires and plans effectively with your vendors (because they will inevitably have questions in the weeks leading up -- they are probably not mind-readers), since you will probably not have unlimited time to keep answering the same questions time and time again. Got a lot of personal items you're wanting to display? It helps to hire someone who knows you and your tastes well to ensure everything will be placed perfectly according to your wishes! The most important part of your wedding? The marriage. Kristine Neeley.